Seafoam green and rustic accents complete this unique suite’s charm. 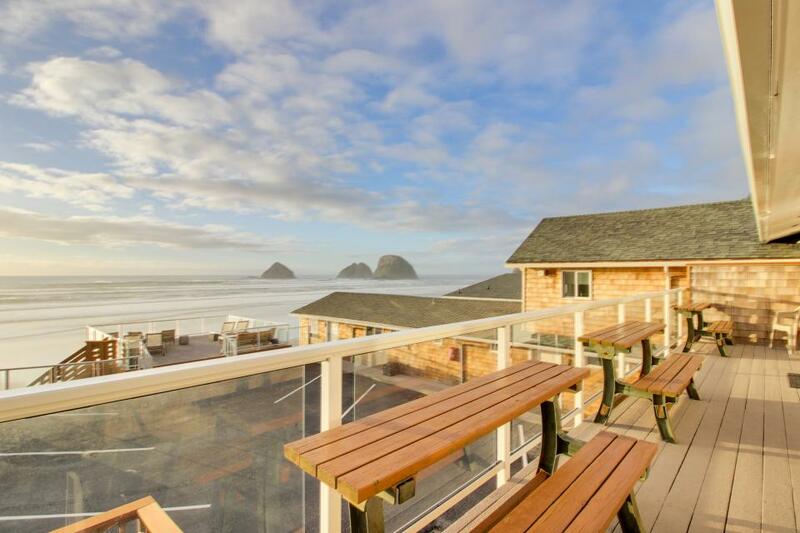 Sip a glass of wine on your own private oceanfront deck before retiring to the spacious living room for a game night. Two bedrooms, a full kitchen, and a full bathroom accommodate up to six guests comfortably. Reserve Finley Rock for your family’s next vacation!